EZ PZ RPG - the idle clicker style game that’s so easy to play... it doesn’t even need you! 1. The account button in the bottom left corner of the main screen has been replaced. Tap your character's name in the upper left to view your account. 2. Added a new button to the Mettle Shop through which you can preview Lvl. 100 gear sets. 3. Added a "1-tap purchase" button to the Arena, MP Dungeons, BOSS challenges and the Trials panel. 4. You can now use Trial Scroll x10 and Boss Scroll x10. 5. Hire some bounty hunters to help if a multi-player dungeon is too difficult to solo. 6. Added a "Switch" button in the account panel. Tap character's name --> Account to select the language you prefer to use and switch to it. 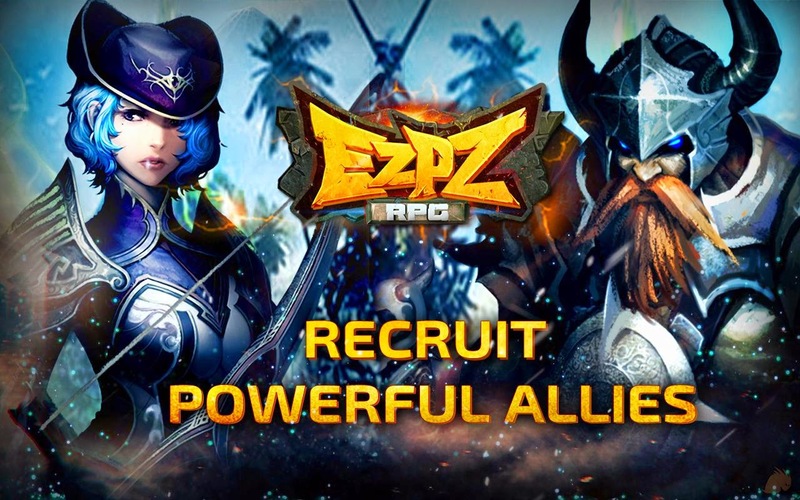 EZ PZ RPG: Install APK and Play the Game!